We visit well over 100 towns and villages surrounding Little Horwood. One of our many vans can also cater for your event. Whether a party, wedding, outdoor event, sports club or business meeting we can provide quality, fun, filling food for all your guests. Please note not all routes have yet been uploaded. So if your area is not shown please check back or follow the facebook feed for info. We are pleased to announce that a new van will be starting in South Kent the week of the 6/8/18. Everyone at Howe & Co wishes Colin the best of luck! Howe & Co are pleased to announce the start of rounds in Kent on Van 23. Everyone at Howe & Co wishes Para and Silvie the best of luck. We have experience for catering for all kinds of events. Whether you need an evening meal at your wedding or a small family gathering we have a package to suit.All prices include travel costs, staffing etc and we have a range of extras like sauces, different wrapping options and much more. We have a minimum spend of 60 fish and chips that applies to all events so please give us as much detail in the form below and we will get back to you as soon as possible for a chat. Avoid the pitfalls of starting a new business venture? Why don’t you start your own Howe and Co franchise? The Howe & Co Fish and Chip Franchise is a business designed as a start up package to enable self employed associates to enter the fast food market without having expensive shop fits, rents and rates that come with a stand alone business. The initial package comes with everything you need to get up and running within as little as 12 weeks. A franchisee will be someone typically that has always wanted to work for themselves and that is driven to succeed with a good work ethic. The Howe & Co Fish and Chip Franchise model gives you the freedom of choosing your hours and rounds to maximise earning potential in your designated territory. Everything needed to begin trading is included from the start and training will be provided at our HQ, whilst your Custom van is in production in order to maximise time from signing your agreement to starting your rounds. 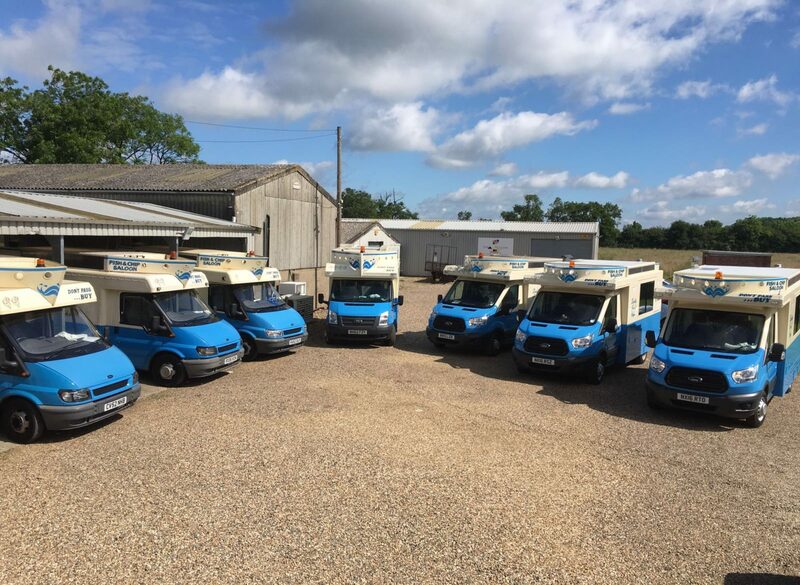 The Custom vans typically take 10-12 weeks but could take longer if there are other franchisee’s who may have signed up within a similar time period.